You are browsing the archive for Business Processes. Min Max Planning is a two bin replenishment method where when one bin is emptied or stock levels falls the below minimum level it will replenished to maximum stock. Min Max planning will be more useful for items that has independent demand or indirect items such as shot floor consumables, stationary items etc. MRP kind of planning is more useful for direct items that is dependent on sales/forecast. In Oracle Min-Max planning, first certain item attributes must be set like Inventory planning method, minimum level, maximum level, order quantity. Then Min-Max concurrent program can be scheduled to run at regular intervals that checks for items that falls below minimum stock level. 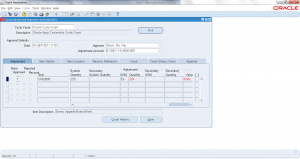 For buy items Min-Max planning suggests purchase/internal requisitions based on sourcing rule. You needs to run ‘Requisition Import’ after Min-Max Planning. 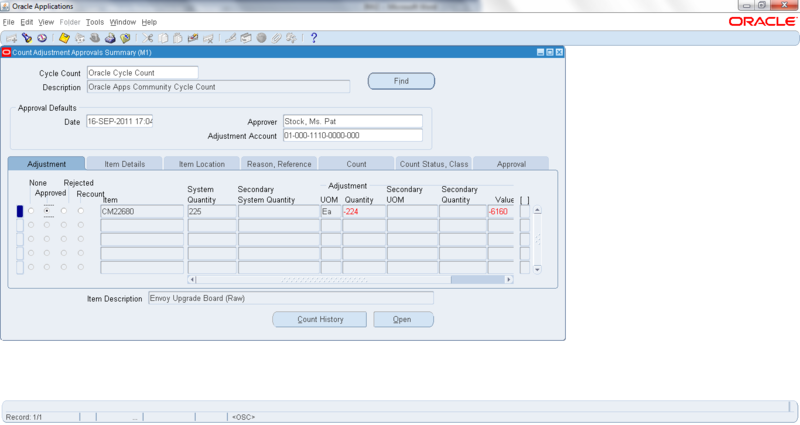 Min-Max planning can be run at organization level or sub-inventory level. Min-Max program can be run in simulation mode or actual mode. Enter the parameters for the concurrent program ‘Min-Max Planning Report’. 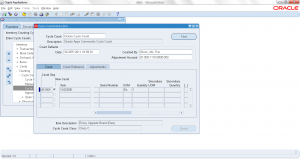 Submit the request and view the output of the concurrent request. Cycle count process is periodic schedule inventory counting and verification process. Once cycle count is setup it can be scheduled to run automatically based on ABC class and count frequency. Then actual physical counting happens and results of counting is captured in system. Based on cycle count setup, if quantity/value variance is beyond the limits then approval may be required. Verify the actual count quantity, system quantity and variance. Decide if the variance can be approved or further investigation/recount is required. Save the changes. Now variance is approved and system onhand inventory is adjusted with actual count quantity. Cycle count process is periodic schedule inventory counting and verification process. Once cycle count is setup it can be scheduled to run automatically based on ABC class and count frequency or manual schedules can be entered to do cycle count for specific items on periodic basis. 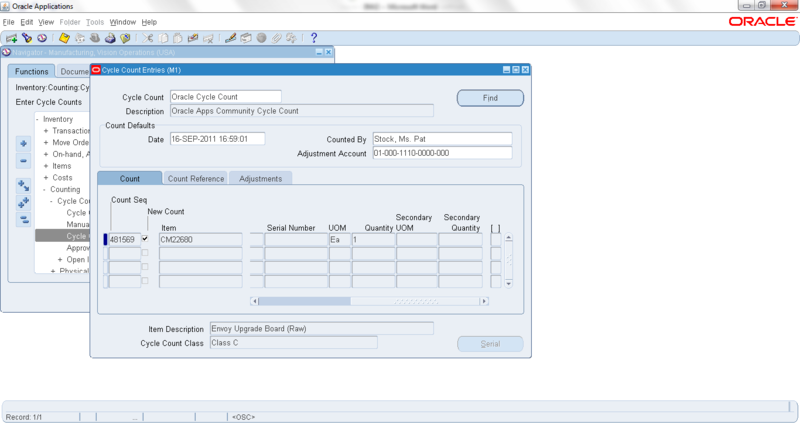 Once cycle count is scheduled the next step is actually doing the counting and capturing the results in count quantity. This will help is doing inventory variance and approval. Save the changes. Now new count quantity is captured against the system quantity. The difference is variance and based on cycle count setup, system enforces if any approval is required.